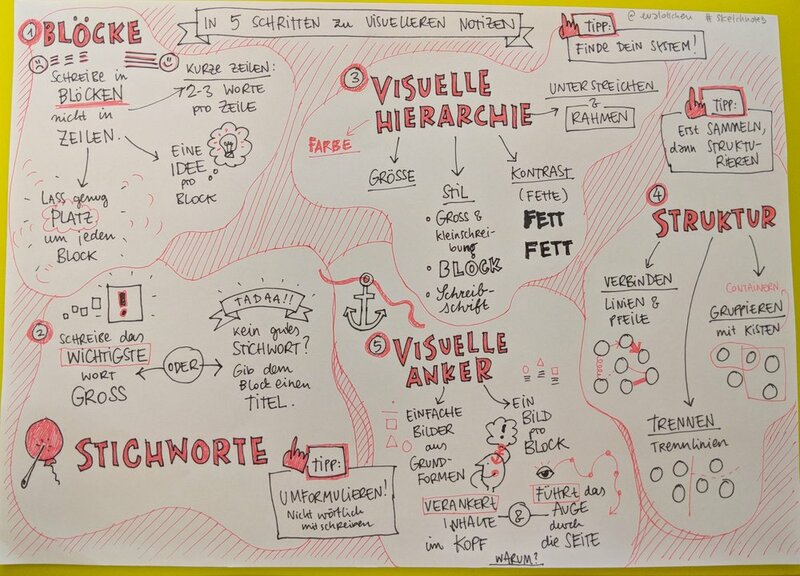 I've recently been speaking at a few conferences and I thought I'd try out a new format... instead of using slides, I live sketched my presentation and invited people to sketch along, learning the basic priniciples of sketchnoting while they where doing it themselves and walking away with a nice sketched summary of the talk. I think it worked out quite well, but you can judge for yourself as the talks were recorded. You can find the recording from Smashing Conference Freiburg here. The one from Frontend conf in Zurich is embedded below. I also gave a German version of the talk for a Carlsen Verlag in Hamburg. Unfortunately there is no video recording, but at least the final sketch. 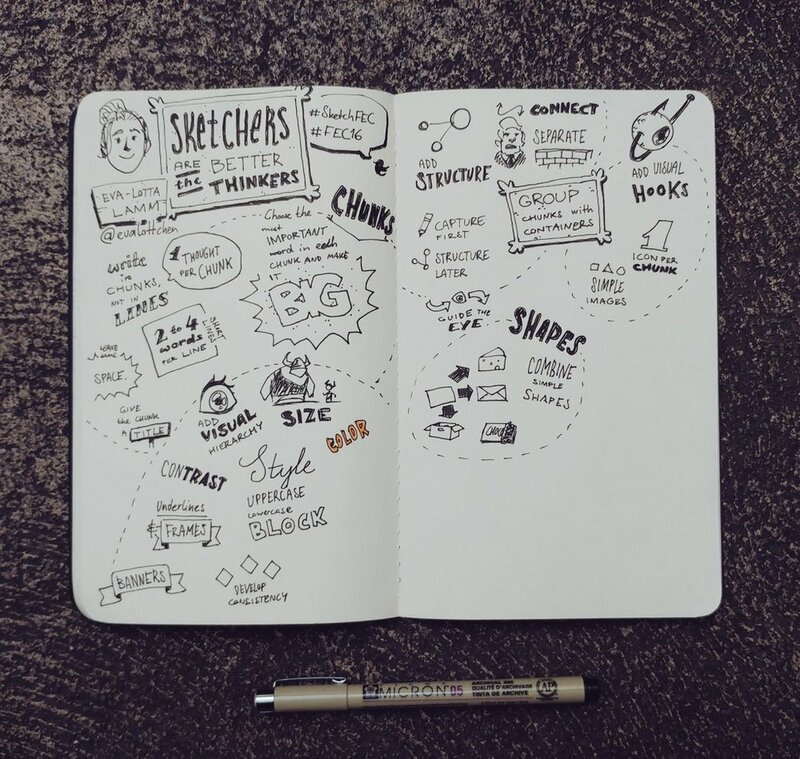 At both occasions, I asked the audience to sketch along and tweet their final sketchnotes of the talk. It is great to see the resulting variety of people's work. Below are a few examples.